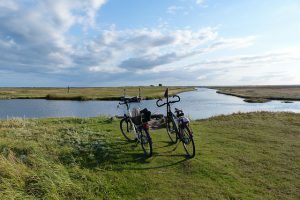 The islands of Denmark are a virtual paradise for cyclists and hikers. Most of the countryside is flat or gentle rolling hills with forests and beautiful meadow lands. Thatched roof houses and farms and small, picturesque villages with cobblestone streets and colorful split timber houses evoke the fairy tale atmosphere of Hans Christian Andersen’s stories. Beautiful white sand beaches, windmills and quaint harbors add to the beauty and charm of the islands, of which about 70 are populated. Zealand is the largest of the Danish islands, outside of Greenland, which is a possession of Denmark. That is a whole different story which we will get to another time. Outside of the beautiful capitol of Copenhagen, there is much to see on the island. The gorgeous north coast, often referred to as ‘Royal North Zealand’ because of its importance in the history of the monarchy, is where some of the most impressive castles and historical sights can be found. 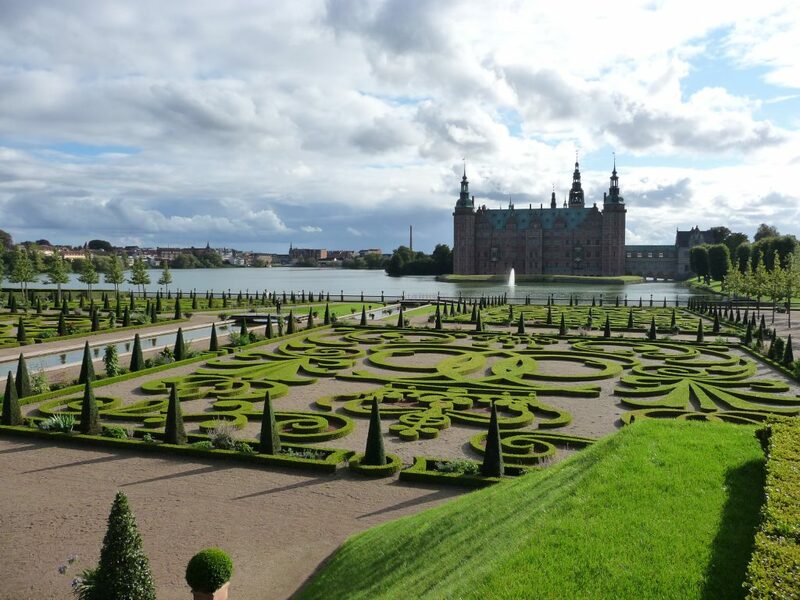 Frederiksborg Castle in Hillerød, and Kronborg Castle in Helsingør, the setting for Shakespeares’ Hamlet, are must-visits. Likewise, for Viking history and its beautiful cathedral, the city of Roskilde with its Viking Ship Museum is a must see. The Royal Palace at Fredensborg with its beautiful Baroque gardens is open to the public every year in July. The south coast of Zealand contrasts from the north coast with its sleepy villages, small medieval churches and white sand beaches. 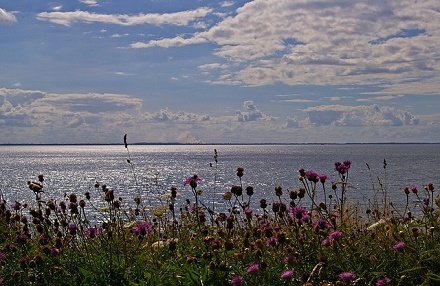 considered one of the most stunning areas of Denmark, scenically. 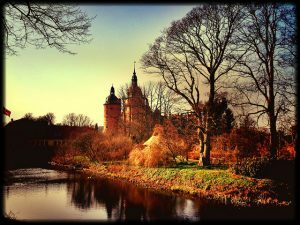 It is known as Denmark’s garden but also is the location of Odense, the third largest city in Denmark and birthplace of Hans Christian Andersen. 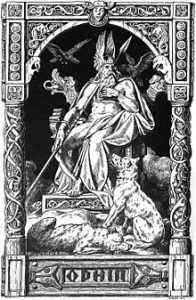 Dating back to 988AD and named after Odin, the Nordic God, Odense has numerous churches, palaces and museums (including of course the Hans Christian Andersen Hus) and also has a symphony orchestra, opera company and theater. The composer Carl Nielsen, whose symphonies and other works are still performed around the world today, comes from Odense. One of the concert halls is named after him. Of the many castles, a highlight is Egeskov Castle, a stunning renaissance castle built on an island in the middle of a lake. 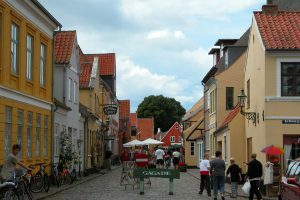 century village of Ærøskøbing is best described by travel writer Rick Steves in his book Copenhagen and the Best of Denmark (Avalon Travel, pub.) as having “7,000 residents, 500,000 visitors, 80,000 boaters, 350 deer, 7 priests, no crosswalks and 3 police officers”. Ærøskøbing has prohibited modern building in the town center and is as well preserved of a cobbled 18th century village as can be found anywhere. There are three fun museums to visit for some history and a collection of 750 ships in bottles. The Nightwatchman’s Tour is a popular way to see the town on summer evenings. The rest of the island lovely and easy to explore. Neolithic tombs, fields, beaches and quaint villages characterize these islands located in the southern part of the Danish archipelago. 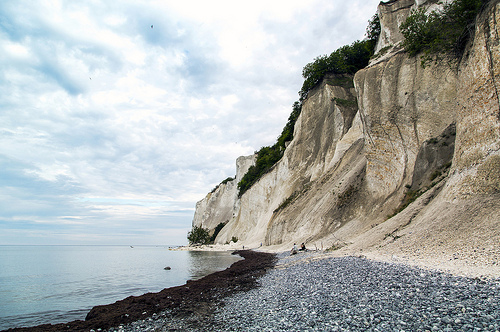 Møn, with its four medieval churches, forests and quaint guesthouses, is interesting because of the dramatic white cliffs characterizing its shoreline. 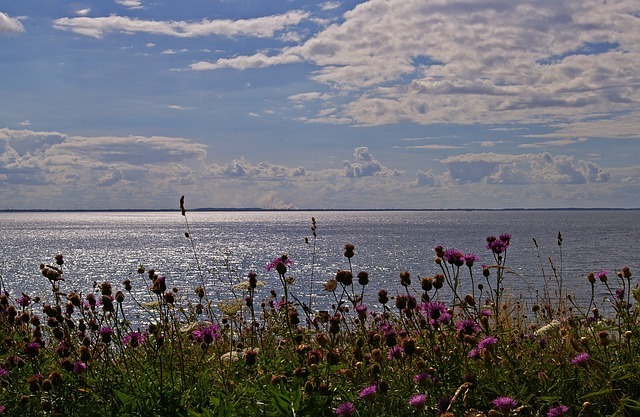 Falster is known mostly for its beaches and includes Denmark’s southernmost point. It is a nice place for a quiet getaway at one of its seaside resorts. Lolland is a great destination for nature lovers and has the largest safari park in Northern Europe. Knuthenborg Safari Park includes an arboretum, an aviary and a monkey forest in addition to a drive-through safari park. There are several charming villages and port towns and it is also remarkable for an unusual late summer light which is a major draw for artists and is celebrated by a yearly event called ‘Light over Lolland’. 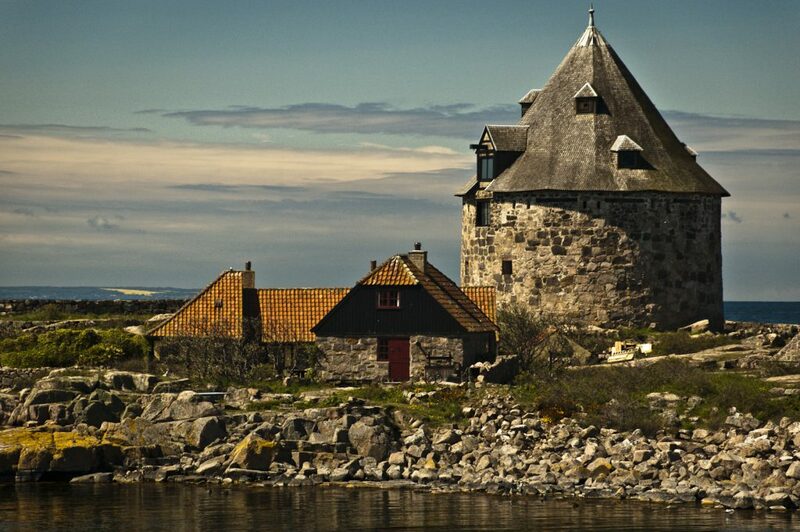 at Ertholmene, also known as Christiansø, in the Ertholmene Islands which lie off the Eastern shore of Bornholm. The three main islands are Christiansø, which is connected by a footbridge to Frederiksø. Graesholm, a third island is a wildlife and bird sanctuary. 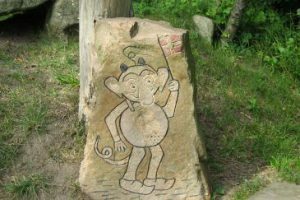 Please be mindful of the Krølle Trølle, a horned troll who is said to roam about Bornholm. 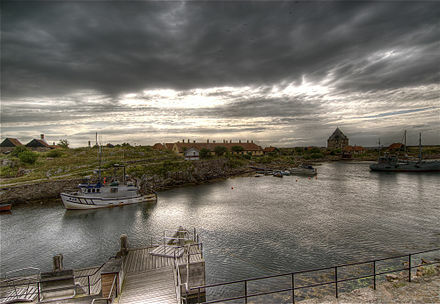 Off the northern coast of Lolland lies the 6 square mile, untouristed island of Fejø. Between its two villages of Østerby and Vesterby, there is only one village inn and one Bed and Breakfast. Fejø apples are the main attraction here. Acknowledged to be the best, Fejø apples are sent every year to the Royal Family. The world class restaurant Noma in Copenhagen has its own orchard here. Farm and beach holidays here are especially popular in mid May, when the apple blossoms are in bloom. And one last stop. 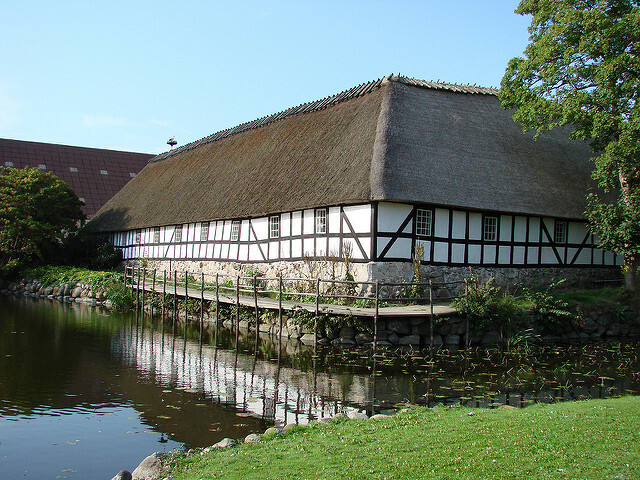 Samsø, which is located farther to the north, is 9 miles off of the coast of Jutland (the mainland part of Denmark) and north of Funen. It is known for the world’s largest labyrinth. Labyrinten, founded in the year 2,000, is carved out of a woodland area which was formerly a christmas tree plantation and stretches over 645,000 square feet. The island is also popular for its strawberry picking in June and July, and an annual music festival. Thank you for sharing your thoughts on what seem to be some of the most beautiful islands in the world! I love traveling and recently just got back from a two-week trip to Thailand! I was lucky enough to experience some of the most beautiful islands and beaches I’ve ever seen! Denmark looks breathtaking! I love the fact that the islands are great for cyclists and hikers! I love relaxing on a beautiful beach but I also love hiking and exploring the outdoors – it sounds like a perfect fit for me! 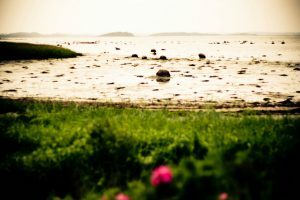 Thank you for an informative post about Denmark islands. I have to admit I didn’t realise that Denmark had numerous islands as part of the nation. Your post was informative and your photos breathtaking. When I have the money to travel I will definitely be putting these islands on my to-do-list. Thank you so much for educating me today. I am so glad you enjoyed the post Megan. Denmark is a great place to travel to. Great people, very clean and safe and plenty to see and do. I hope you will get to go! !